There’s an unofficial competition to determine the coolest street in Cape Town. It used to be all about Long Street with its bar and club scene. 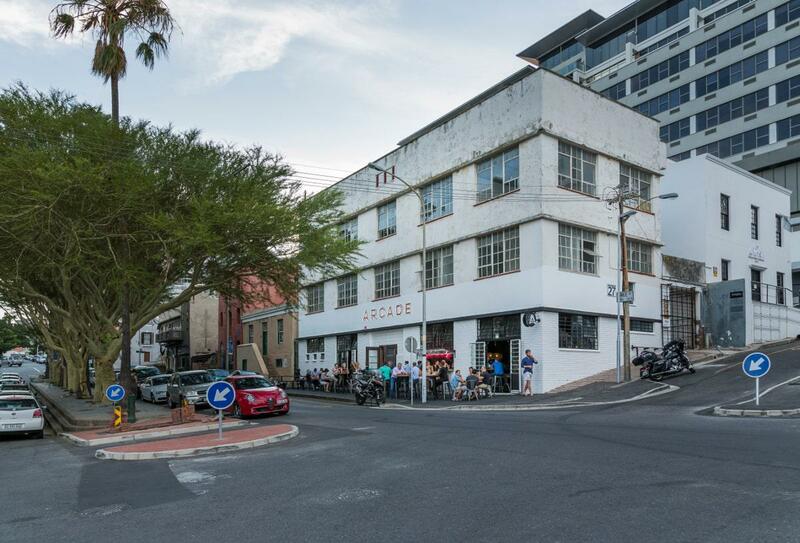 Then Kloof Street took over with concept stores, restaurants, and an ultra-trendy hairdresser. 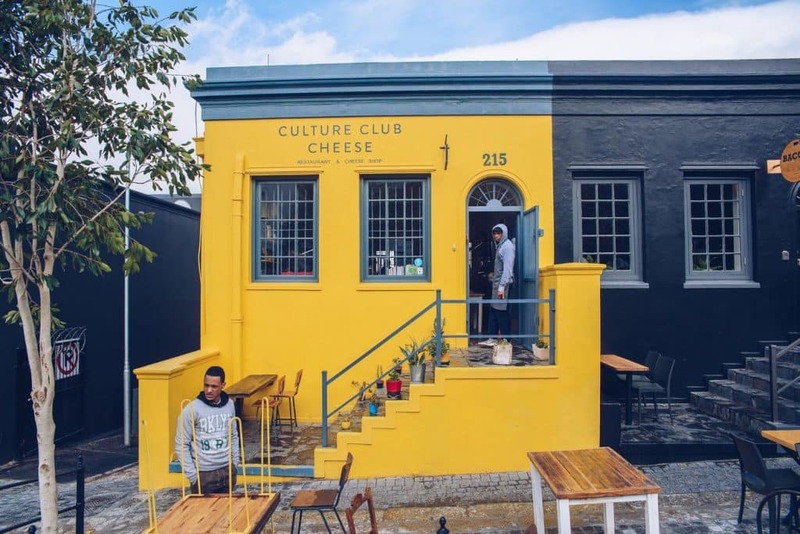 Now, Bree Street has stormed its way to the top of the podium and crushed the competition with an old-school barber shop, a tapas bar and an eatery dedicated exclusively to cheese. In the Hipster Olympics that’s hard to beat. If you’re looking to get a glimpse of Cape Town’s artisanal ecosystem at its finest then here are our top recommendations. Whiskey lovers connect at this inviting hole-in-the-wall spot, which will enlighten your taste buds with their array of unusual Scotch, Irish and even Japanese whiskeys on offer behind the bar. Apparently whiskey-based cocktails are also emerging for the not-so-hard-core fans – plus they offer wine beers on tap and more. Food only really includes snacks so if you need to fill your belly, pop to Weinhaus and Biergarten next door. This popular hangout at the lower end of Bree Street attracts business types, hipsters and backgammon addicts. Hardpressed’s music theme is rooted in the vinyl records they sell. This spills over to their speciality coffees, like the Wham (with coconut oil and butter). Once you find your preferred fix, you’re bound to become a loyal supporter. Food includes light meals and healthy cake options as well as breakfasts. The staff is uber-friendly and will make you feel like you’ve come home – you may even have flashbacks to a scene from Empire Records. What looks and sounds like a coffee shop is actually a breakfast hangout slash after-work drinks spot. On Wednesday’s they host a Tunes and Tapas evening and they push the house coffee cocktails like the “Cherry Cola” made with cold brew coffee, cherry liqueur Craft soda and tonic. Here you can also craft your own breakfast, have a burger or enjoy a glass of wine… or four. 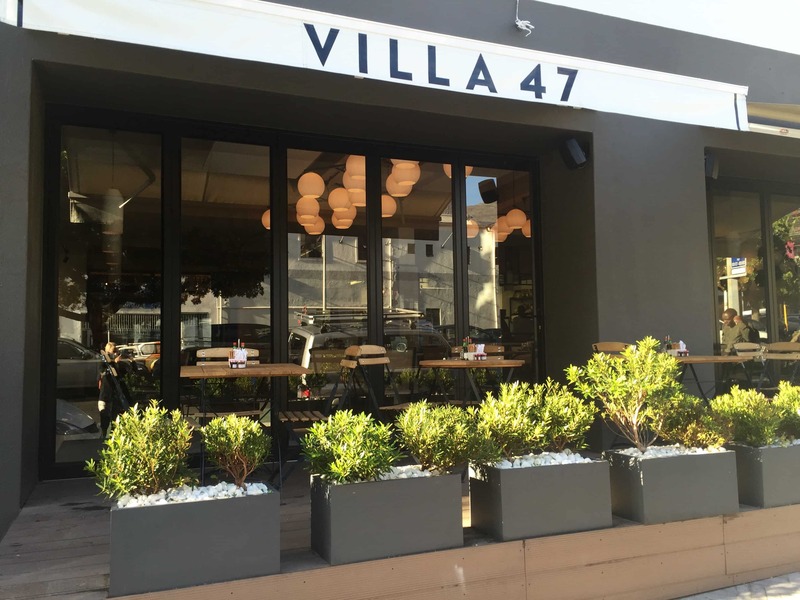 Villa 47, which oozes Italian flair, has a tapas bar and restaurant, serving creations with a mix of Mediterranean and Asian flavour in a slick, contemporary setting. They pride themselves in sourcing the finest ingredients from around the world and quality produce. They have a small menu but patrons seem to rave about the breakfast, lunches and dinners, so you won’t go wrong. Reserving a table in advance is recommended. Bocca is a refreshing clean space that feels a bit like something out of Manhattan. You can’t book, which makes this a great walk-in spot! They have a small lunch menu served from 12-3pm, which includes Panini and salads. Their dinner menu consists of mostly tapas and pizza but you are bound to find something delicious for every palate. The crispy pork belly with chilli and basil is phenomenal! Inspired by trendy bars in New York and London, Arcade is a very hip industrial space, designed to offer Capetonians a spot to have a drink and bite before, or after, a night out. The menu smacks of cafe-style food and includes burgers, pizzas and salads. Consumption of wine, beers and cocktails are encouraged too. This fresh, modern delicatessen and restaurant with somewhat of an Italian feel, specialises in pastry and pasta. Opened by two young chefs Devin and Katia they focus on food created with passion and flair. They have some innovative breakfasts like the Glen Beach Special (Mexican-style eggs and rump included) and even a Banting Breakfast. Their lunch and all-day menu is pretty spectacular – you can have anything from flash-fried tuna sashimi salad to roasted lamb shoulder with homemade pasta. Right next to Bacon on Bree is the home of everything cheese – from a shop that sells all the best picks of creamy goodness and cheese-laden breakfasts to wedding cakes made of, you guessed it, cheese! If you feel like a bit of a healthy fix you can also try one of their healthy kefir smoothies. And depending on your feels you can sit inside or outside in the sunshine. Inside and You’re Out (IYO) Burgers is the place to go if you’re looking for a burger joint with organic, locally-sourced ingredients, grass-fed beef, and a laid-back ambience. A great lunch spots, it’s a perfect place to stop in if you need a quick bite during a busy day. Try the Umami BBQ burger, the Pulled Piggy burger, or the Health Nut for a unique and delicious vegan option. A local tapas bar that offers cocktails, craft beer and a menu that does the Spanish name justice. It’s the perfect place for an after-work get-together, or a great first stop to get some light food before a big night out. You can usually get a spot at lunch – but it starts to fill up pretty quickly in the late afternoon, so make sure you or one of your mates get there early enough to snag a spot by the window so you can watch Cape Town do its thing as you eat and drink. Real old-school barbers get a lot of things right – they’re simple, no-nonsense and make liberal use of the shears. But they also don’t always keep up with the times and tend to give the same haircut they’ve given for thirty years, despite what you’ve asked for. No, what you’re looking for is old-school cool with a modern edge, so try Barnet Fair for a contemporary take on that vintage sensibility. Straight razors, hot towels, and twirled moustaches – you can’t go wrong here. This bike store gives you the feel of a local family-run bike dealership while still offering the latest in high-tech bikes, gear and riding accessories. If you’re looking for somewhere where you can wax lyrical about your passion for mountain-biking then this is the place. They also get bonus points for offering Truth coffee on the premises. Heather Moore is one of Cape Town’s design pioneers and her shop, Skinny laMinx, has become a local institution. This is your go-to if you’re looking for unique local printed fabric items – everything from décor and pillows to bags and scarves. If you’re a crafter yourself you can also buy the fabric for your own creative projects. Of all the gin joints in the world, you should probably walk into this one. 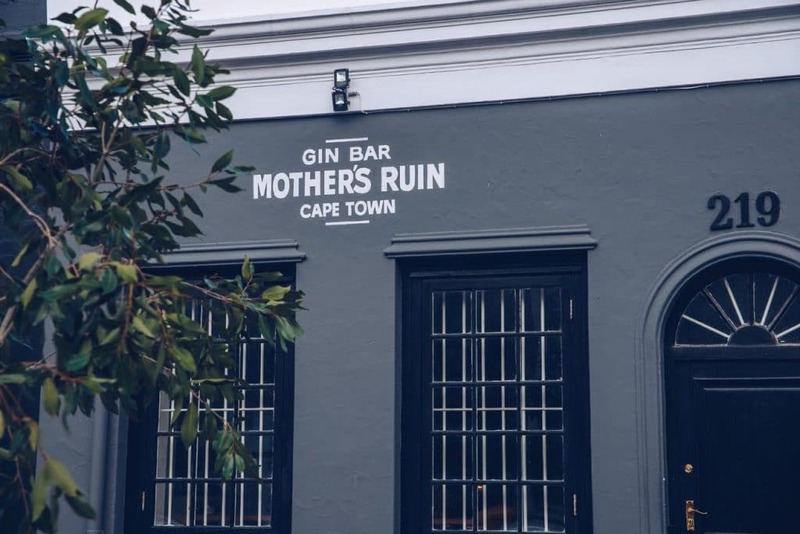 If you’re looking for a place in Cape Town to indulge in your favourite juniper-infused beverage, then Mother’s Ruin is a great place to start. Boasting a drinks menu that’s rich in botanically-adventurous gins, this gin joint also offers cheese boards and charcuterie. Well worth checking out. Warning: if you go to Active Sushi you’re going to have a hard time paying normal prices for sushi ever again. The lunch specials are legendary and are highly recommended if you’re looking for platters of good sushi that won’t put you into debt. There is also an excellent buffet option that’s available all day on Mondays and Saturdays. Just make sure you’re REALLY hungry before you go. OK, so Metal Machine is not actually in Bree street. But it’s in Shortmarket – just off Bree – and it’s cool enough and close enough, to receive an honourary induction into the Bree Street hall of fame. Metal Machine is an institution – one of the oldest tattoo parlours in Cape Town. Although Cape Town has a number of truly excellent tattoo artists, Metal Machine pride themselves on being able to cater to every style and taste. Whether you’re looking for ink that’s small and delicate or loud and bold; they’ve got you covered.